Provide your doggy with the best sleep of his life with our beds for dogs collection from Doggy In Wonderland! 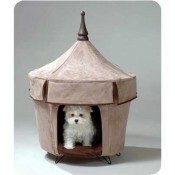 Your dog deserves a cozy place to sleep or rest. We like to have something comfortable to sleep on and so do they. Doggy in Wonderland offers a variety of luxury dog beds including eco-friendly dog beds and orthopedic dog beds for the pups who are getting a little older and have arthritis or just need a little extra care. Doggy In Wonderland has the perfect beds for dogs in many styles and colors. 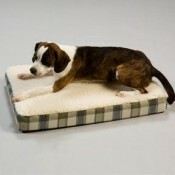 Our comfy beds for dogs will be so restful after playing outside and chasing the cat. 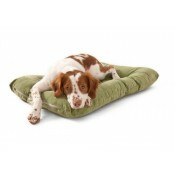 And if you and your pup have a sense of whimsy, be sure to check out our novelty dog beds! It’s hard to resist Hot Pink Flower dog beds or an iBone bed for dogs. If your dog bed is a crate bed, our crate pads will make his or her crate bed super comfy. Choose a dog mat that is eco-friendly like our Eco Nap crate pads that make their crate beds planet friendly. 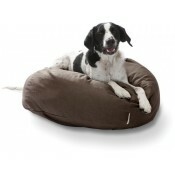 All Doggy In Wonderland dog beds come in different sizes to fit your doggy’s needs.